U.S. VIRGIN ISLANDS (March 29, 2017) - The head of the Caribbean Hotel and Tourism Association (CHTA) called on the region to work together to ensure the Caribbean remains one of the world's leading destinations. 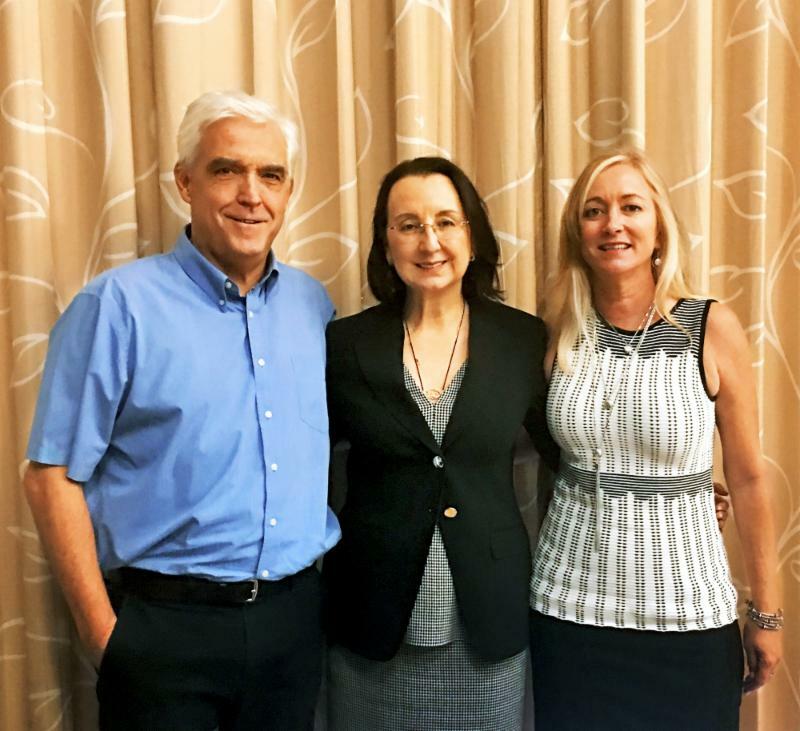 Delivering the keynote at the Annual General Meeting of the U.S. Virgin Islands Hotel and Tourism Association earlier this month, CHTA President Karolin Troubetzkoy noted that while Caribbean destinations are very different, they share many of the same challenges - from the impact of climate change to the high cost of operations. Troubetzkoy, who is the executive director of operations at St. Lucia's Anse Chastanet and Jade Mountain resorts, believes a collective resolve is needed, leveraging the strength of diversity and the commonalities of the region's countries and territories to fulfill tourism's true potential. She pointed to the some of the issues many regional destinations are facing, such as improving intra-regional travel, the high costs of airlift to the region as well as importing food, taxes and the growing activity of the sharing economy. Troubetzkoy indicated she is encouraged by recent movements towards greater public-private sector collaboration to address the region's tourism competitiveness and development. She cited a recent presentation by CHTA and the Caribbean Tourism Organization (CTO) at the CARICOM Intersessional meeting where the leaders gave the green light to the organizations to draft a plan for submission to the CARICOM Summit in July for a "sustained region-wide tourism development and marketing initiative." Quoting from a recent CTO report on the industry's 2016 tourism performance, Troubetzkoy observed that while the Caribbean reported its seventh consecutive year of growth with an increase of visitor arrivals by 4.2 percent and a total of 29.3 million stay-over visitors to the region, that growth was unevenly distributed, with Cuba and the Dominican Republic being the primary beneficiaries. Underscoring the need for integrated regional approaches, Troubetzkoy reminded attendees that the United Nations World Tourism Organization (UNWTO) expects the Caribbean region's tourism share to decline from 2.1 percent to 1.7 percent by 2030. The CHTA president issued a call to tourism professionals across the region to work together to make their destinations more competitive on the global market: "We also must keep an eye on the many international tourism destinations out there that perform better than us - destinations that have been able to offer 5- and 6-star products at a cost that probably would buy a 3- or 4-star holiday in the Caribbean." She called for stronger partnerships between the public and private sectors at the destination and regional levels to tackle the difficult issues of increased airlift, air travel costs, taxation, improved inter-regional connectivity and figuring out together how to price products more competitively in the global marketplace: "Our discussions may be uncomfortable and sometimes heated but they must take place because, in the end, we are in this together." Pointing to the rapid growth of the alternative accommodations sector through online platforms like Airbnb, she asserted: "Rather than fighting the trend we have much to gain by working with (them) to find ways of cooperating for the benefit of our visitors, our dedicated hoteliers and tourism professionals, as well as our hospitable citizens who are willing to share their homes with visitors from abroad, and from within our destinations." Key issues related to the sharing economy's participation in the hospitality industry include the need to ensure safety and security for guests, and to establish policies that require the homestay community to make a reasonable contribution to each destination's infrastructure maintenance and construction costs. Noting that people are key to competitiveness, Troubetzkoy urged destinations to develop and fine-tune "every aspect of our customer service experience, enhancing our product itself - whether we are talking about availability of real, authentic Caribbean cultural and culinary offers, locally made products or renovated and enhanced hotel accommodations that have taken into account changing customer expectations." None of this can be achieved, she declared, without well-trained and informed people in the sector: "We have to ensure we are training people who will continually improve our product as they make fulfilling careers in tourism, and we need to also provide these stalwarts of our sector with continuing education and training. Because, let's face it - our landscapes, adventures and beaches will draw travelers to our shores - but it is our Caribbean people who will keep them coming back."